The start of sales of the Indian vehicle coincided with the departure of the compact Daewoo Matiz from the Russian market. The ‘Qute,’ the world’s most affordable car manufactured by the Indian company Bajaj Auto Ltd, is now on sale in Russia, where it has been placed in the commercial vehicles sector. 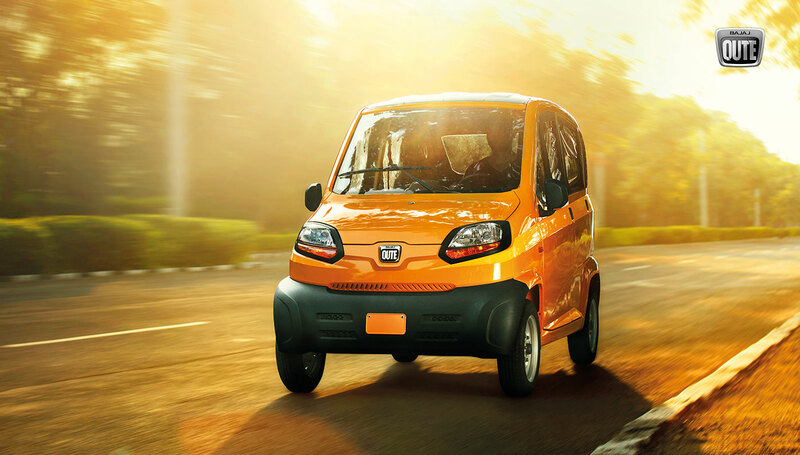 Bajaj ‘Qute’, the world’s most affordable car, has begun to be sold as a quadricycle by the Russian distributor of the Indian company Bajaj Auto Ltd. The new vehicle became available in Russia after a dealers conference held in late September in Moscow. The first commercial units are being shipped to warehouses of partners. Rossiyskaya Gazeta learned from Ekaterina Logacheva, head of the Commercial Vehicle Department at the East West Motors Company, that the base version of the Qute (absolutely “empty” model, with films on side windows) will cost 330,000 rubles ($5,300) in Russia. The model with an optional add-on package (including heating in the cabin, a driver’s door lock and glass side windows) will sell for 360,000 rubles ($5,800). This is slightly less than the Lada Granta and the Lada Priora. However, as Rossiyskaya Gazeta had written earlier, the quadricycle and will not compete with light passenger cars in our market, but be part of the commercial vehicle sector. The definition of the Qute as the “cheapest vehicle” is a significant stretch. Firstly, the quadricycle is still not a car, but bears the marketing name of Microcar. Secondly, the previously announced price of $2,000 dollars appears to be a publicity stunt. This vehicle is still not sold in the free market in India while, abroad, it is much more expensive than advertised. In Turkey, for example, the first country to which the Bajaj Qute was exported, the microcar was sold for approximately 384,000 Indian rupees, which is comparable to the amount of 360,000 rubles ($5,800). “The Qute is of interest to companies involved in different kinds of deliveries – from courier services to delivering food, because of its low operating costs,” explained the East West Motors press-service. “The Qute is initially being positioned as a B2B-transport, and is primarily focused on the commercial operation of delivery services, couriers, car rental companies, taxis. The results of a survey among several courier services clearly indicate the conclusions of their technical personnel – this is a one hundred percent match for “our” segment. However, if someone decides to buy a quadricycle for private use, of course there will be no obstacles,” Alexander Alekseev, General Director of East West Motors, told Rossiyskaya Gazeta earlier, in May. The company had already received pre-orders for the first 350 quadricycles from commercial firms. The start of sales of the Indian vehicle coincided with the departure of the compact Daewoo Matiz from the Russian market. The ‘Qute’ has taken the place of not only the ultra-inexpensive Daewoo (in a minimal configuration it cost 314,000 rubles ($5,500)), but also the “pizza-mobile” which is what they called the “little one”, for its strong demand from companies delivering food products. Perhaps this gives the Qute extra chances for success. The Bajaj Qute has a wheelbase of less than two meters and a 217-c.c. 13-horsepower four-stroke single cylinder petrol engine. It can accelerate its 400-pound monocoque body up to 70 kilometres per hour, while at the same time it is very eco-friendly and economical. The 8-litre tank, with 92-octane petrol, is adequate to drive more than 260 kilometers. The engine is regulated with 5-speed motorcycle transmission. On the front and rear (traction) wheels, there are drum brakes with hydraulic drives.